Hosts Nick Raymond (2012, top left), Em Mota (2013, top right), Paloma Fautley (Halloween, with Karlee as Luigi), and YOU (2014)! 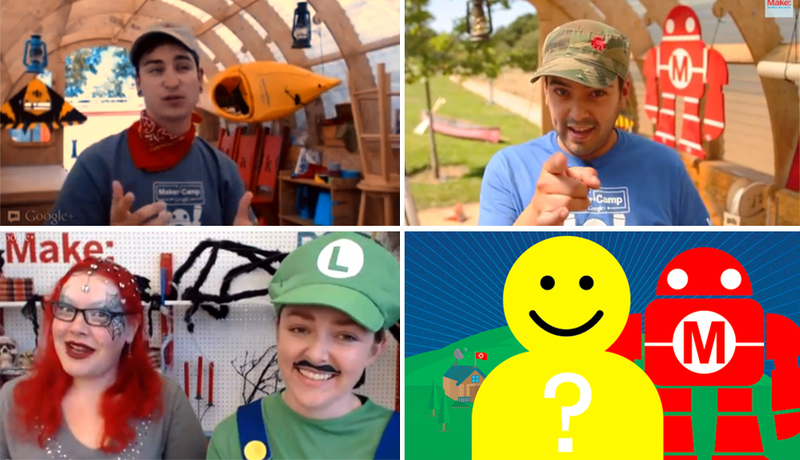 Maker Camp is looking for a dynamic host for our daily talk show that connects top makers with campers all over the world to build the best summer ever. We’re looking for you. You’re a maker. You may hack your appliances. You may have Arduinos tucked in your t-shirts. You wear the title “Geek” with honor. You might look at Tesla coils and think, I could do that. Em Mota behind the camera. Last year, campers were taken behind the scenes at Pixar, NASA, and Google. They interacted with Imogen Heap about her musical gloves, master prop-maker Shawn Thorsson, and RobotGrrl with all her latest bots. They made banana pianos, giant spin art, and full-body stop-motion animations. If you want to take your love of making to the next level, Maker Camp wants you to host our daily hangouts. 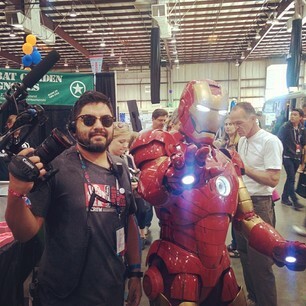 We’ve got a great production team to make you look your best and help you become the next YouTube superstar. Then apply here to be our new host!